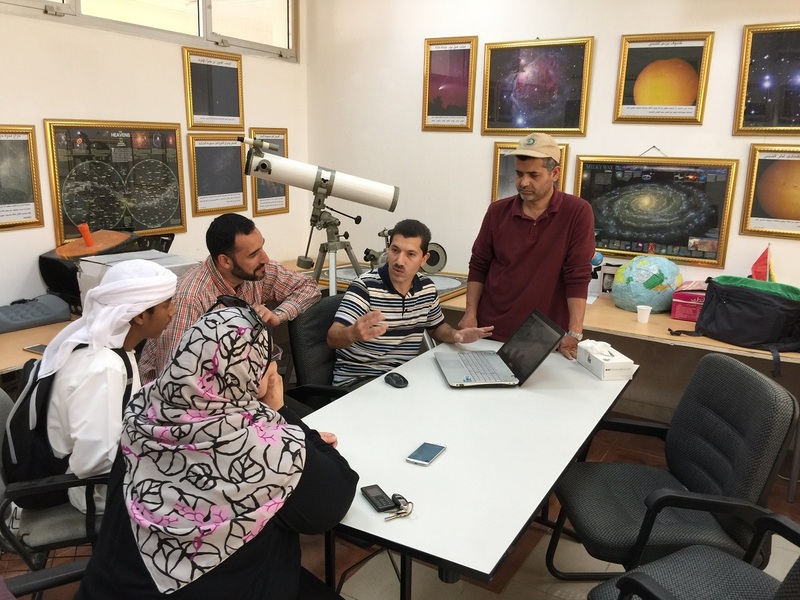 The UAE Astronomical Cameras Network (UACN) is an activity done in cooperation between the International Astronomical Center (IAC) and the SETI Institute. 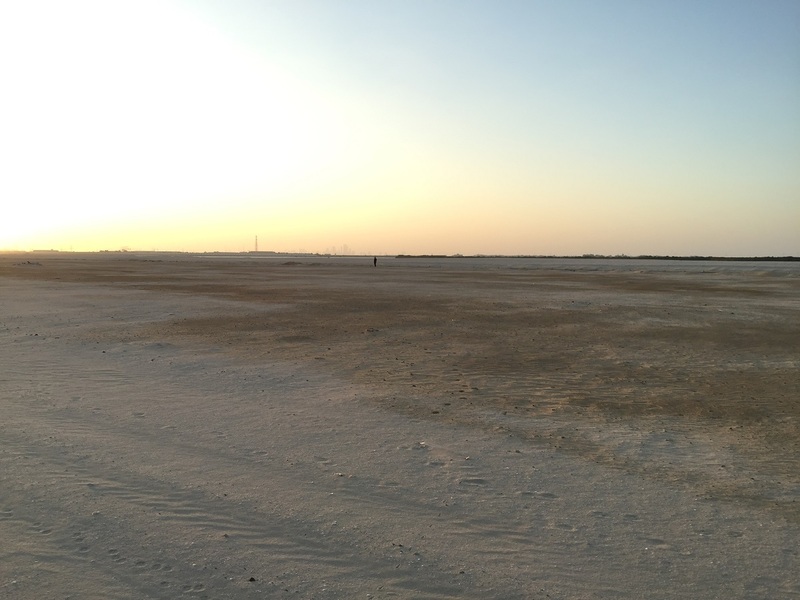 It consists of sky-pointed astronomical cameras located at several locations in the United Arab Emirates. 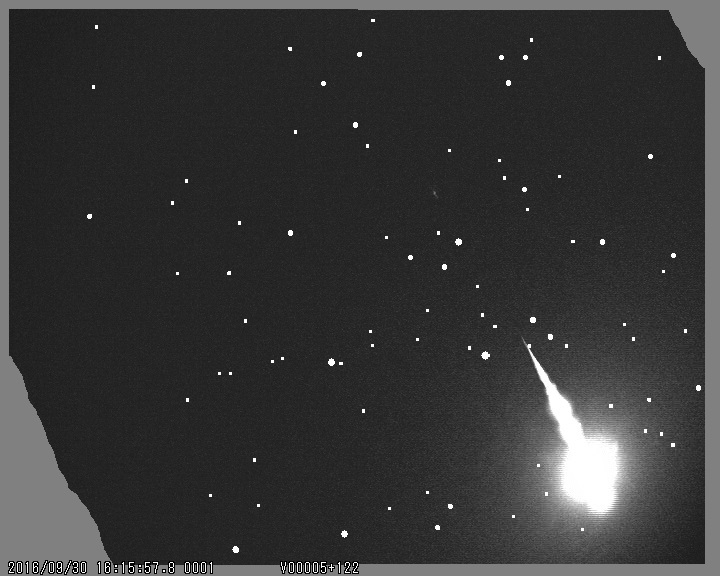 The cameras automatically record a video file once a meteor is detected. 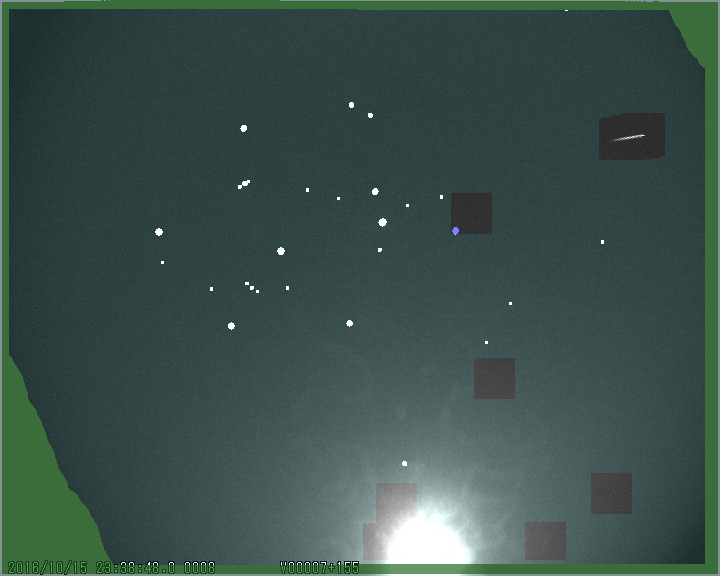 That meteor might just be part of a meteor shower, or it could be a meteorite fall or the reentry of satellite debris! 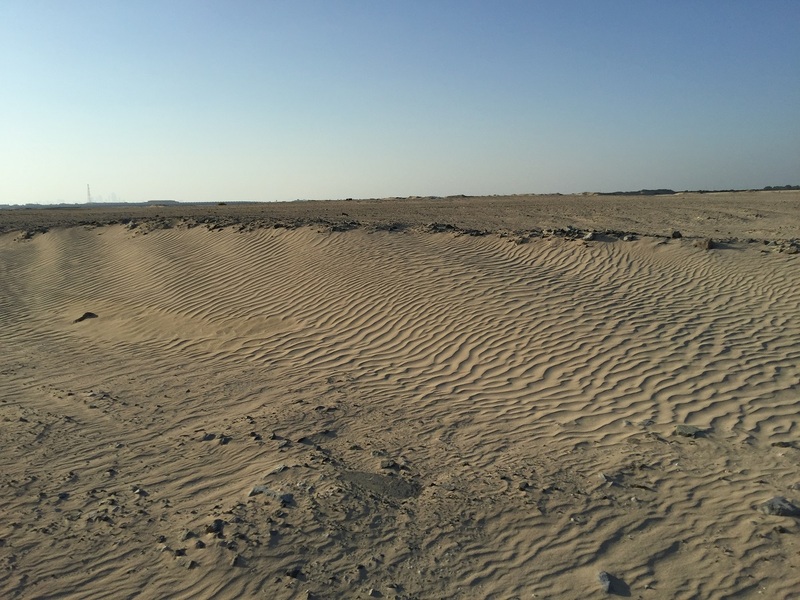 When that meteor is captured from more than one site, its trajectory is calculated so that the meteor shower of origin can be determined, as well as the location of meteorite impact sites in case a meteorite fall happens over the UAE. 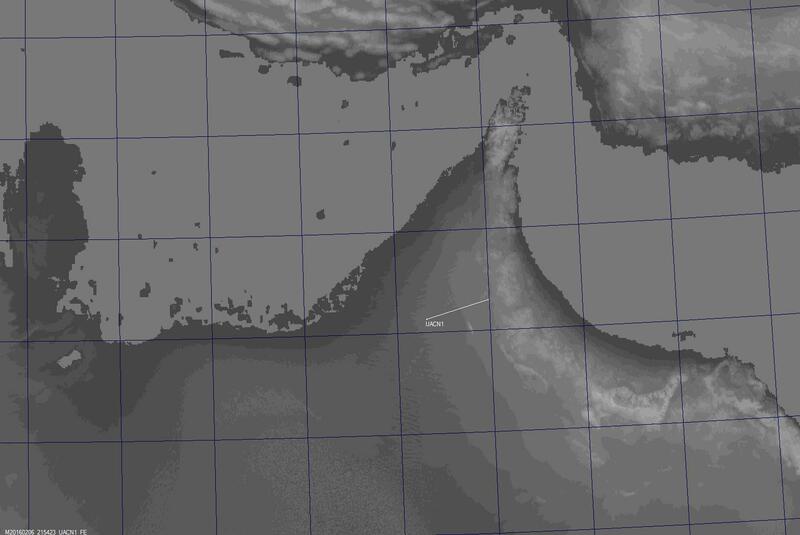 16 October 2017: Satellite re-entry was seen on Monday 16 October 2017 at 19:30 (UT+4) from UAE, Oman, Qatar, Bahrain, Kuwait, eastern parts of Saudi. The name of the satellite is PROGRESS MS-07 SL-4 R/B, it is the second stage of a Russian rocket (Soyuz-2.1a), which was launched on 14 October 2017 towards ISS. The dimensions of the satellite are 6.7m length, 2.7m diameter, empty weight is 2355 Kg. 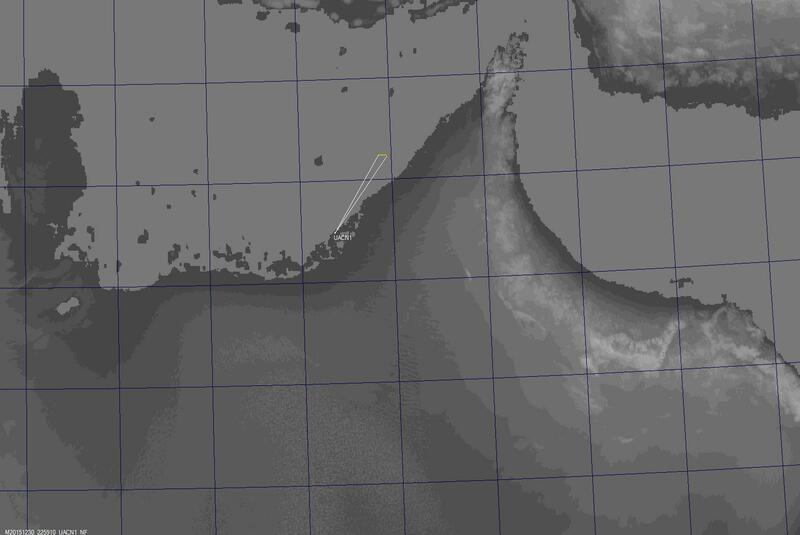 Most probably the impact location was in the Indian ocean. 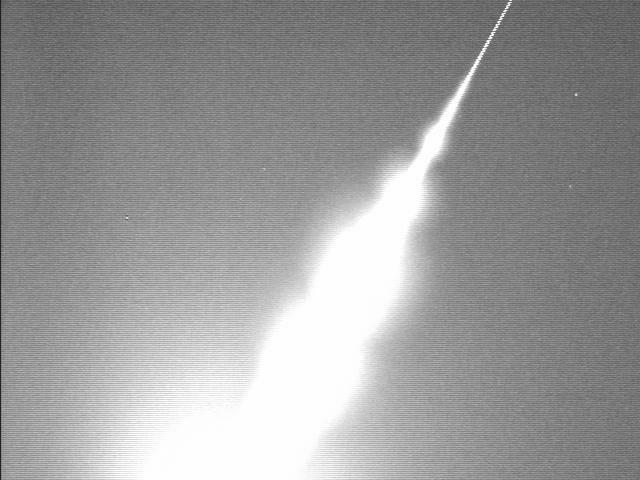 UACN1 and UACN3 were able to record the re-entry at 19:29:34 (UT+4) as shown in the below photos. 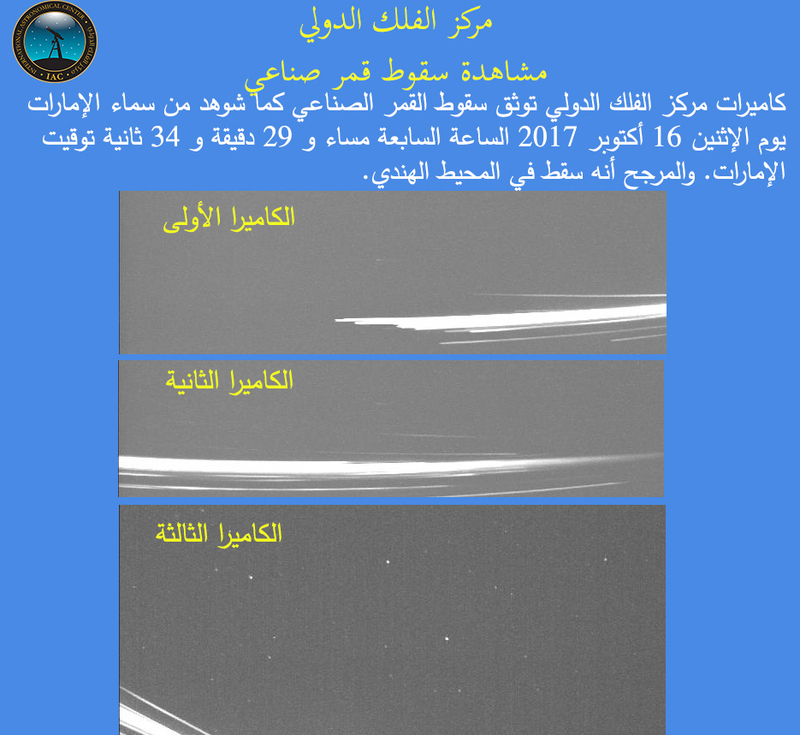 The below YouTube video contains several videos for the re-entry as seen from Gulf area. 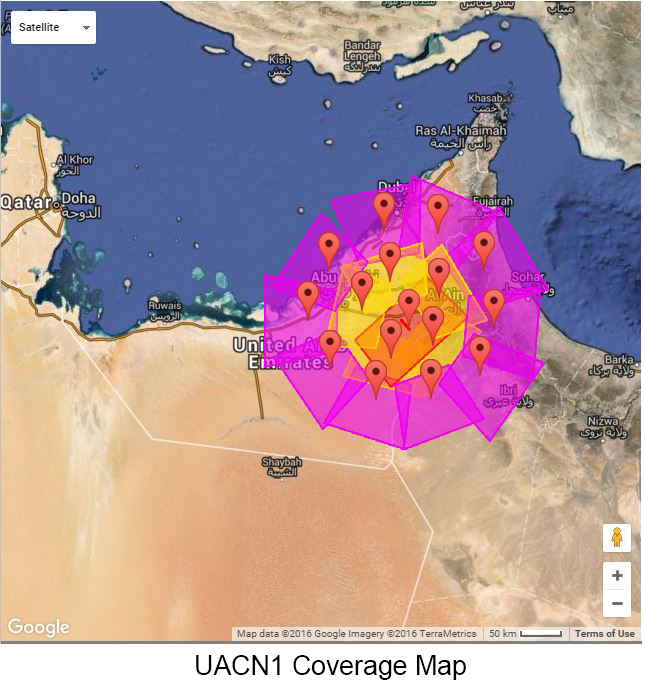 13 October 2017: After the stations were off for several months, we re-assembled and re-operated UACN1 and UACN3, this was possible after we got support from different parties, especially Etisalat. 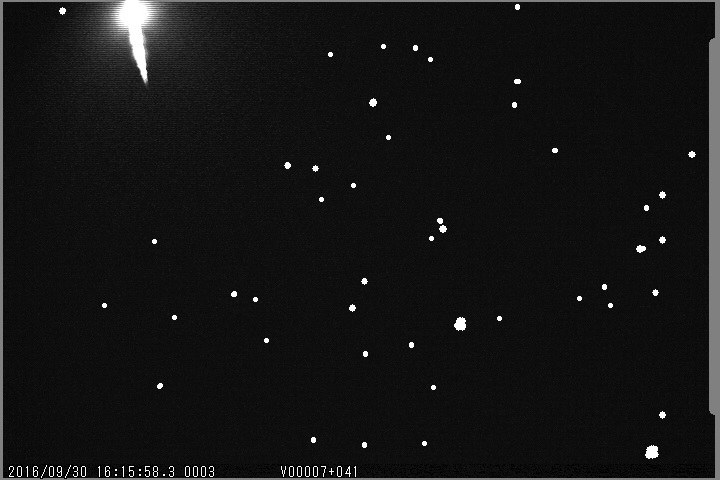 30 October 2016: UACN detected many Orionid meteors on 21 October. 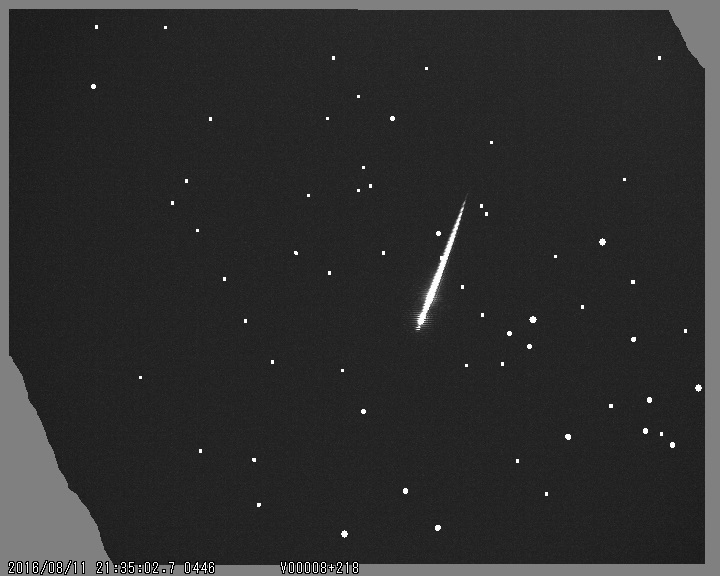 This meteor shower happens every year between 02 October to 07 November, with the peak around 21 October. 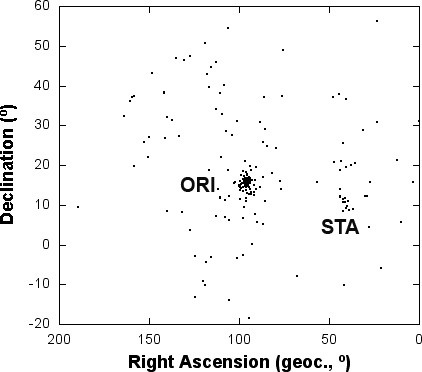 UACN was able to triangulate 308 Orionid orbits on the night of 21-22 October! The below map shows the radiant of the detected meteors on that night, and it shows Orionids meteor shower as well as Southern Taurids meteor shower. 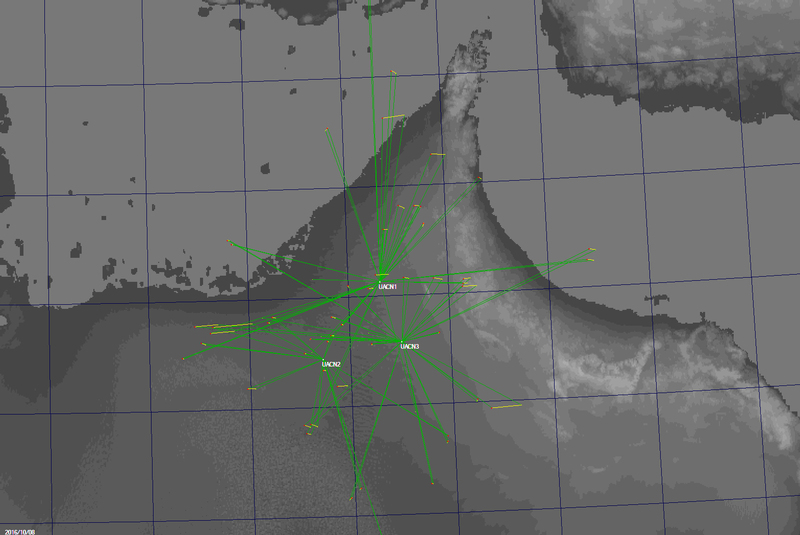 Other photos show the path of the detected meteors above UAE, the orbit of some meteors, and some Orionid meteors. 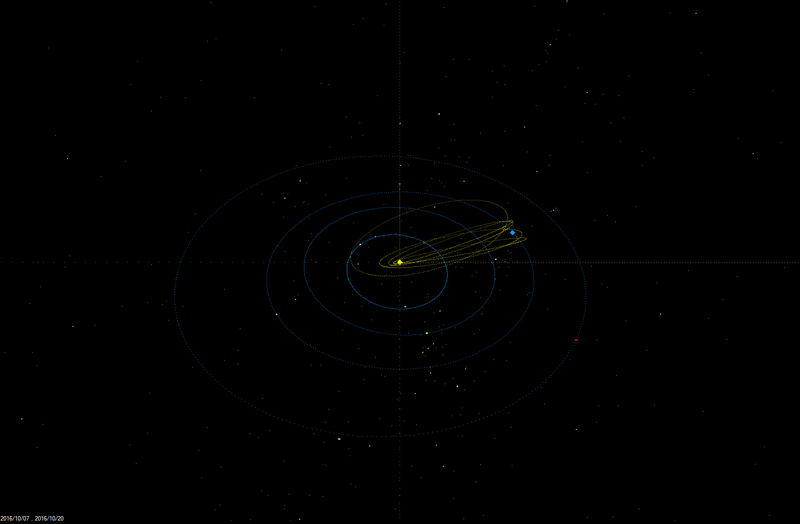 15 October 2016: The dust trail of an unknown long-period comet wandered in Earth's path on October 5. 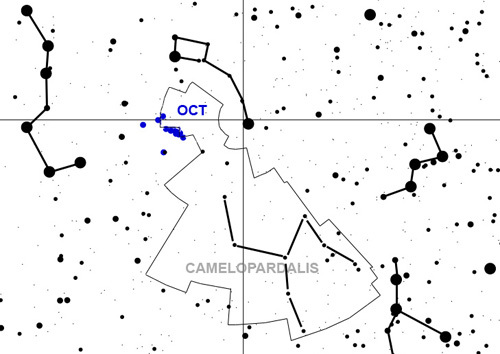 The outburst of October Camelopardalids (IAU code "OCT") peaked at around 14:45 UT. 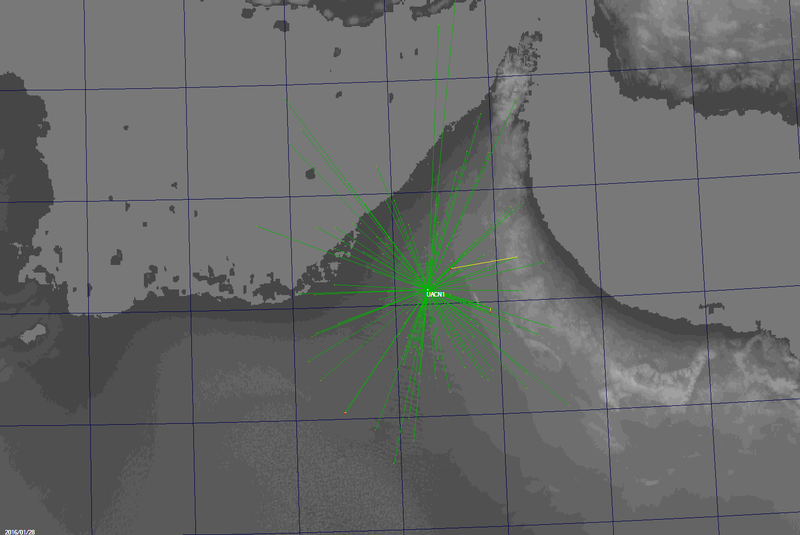 CAMS California recorded 9 meteors from a compact radiant between 8:45 and 13:15 UT, while the the new network in the United Arab Emirates on the other side of Earth detected 3 between 14:48 and 19:15 UT. 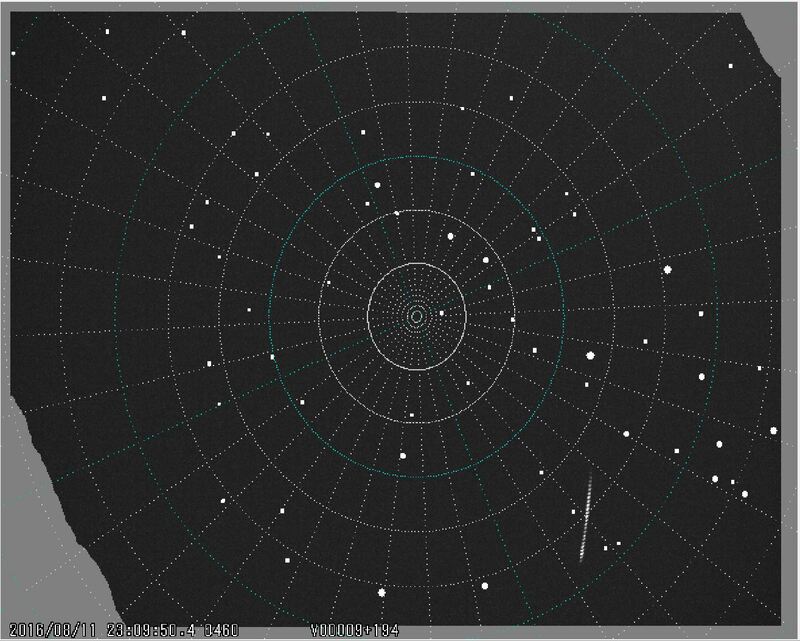 Carl Johannink reports that a first look of CAMS BeNeLux data also shows four OCT. Geocentric radiants cluster on the border of the constellations Camelopardalis and Draco [CBET telegram]. 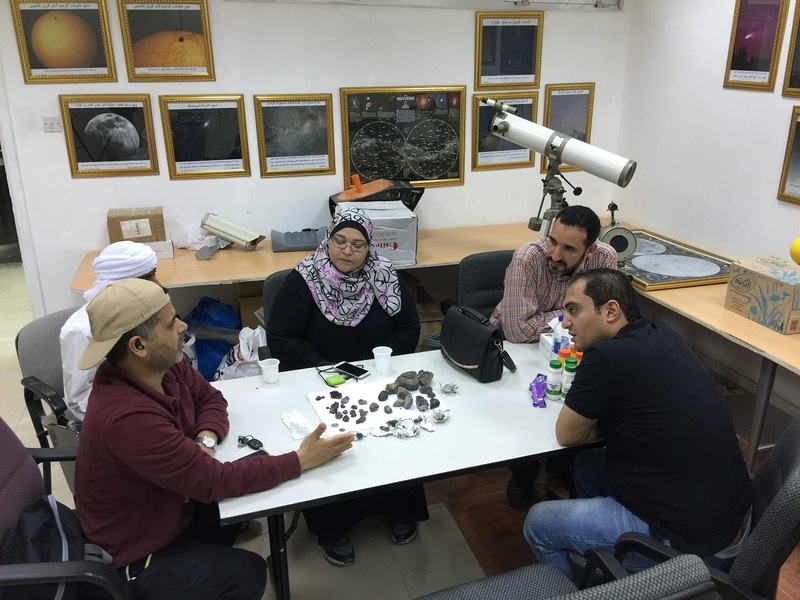 08 October 2016: IAC formed a team to look for the possible meteorite of the bright fireball which appeared on 30 September 2016. 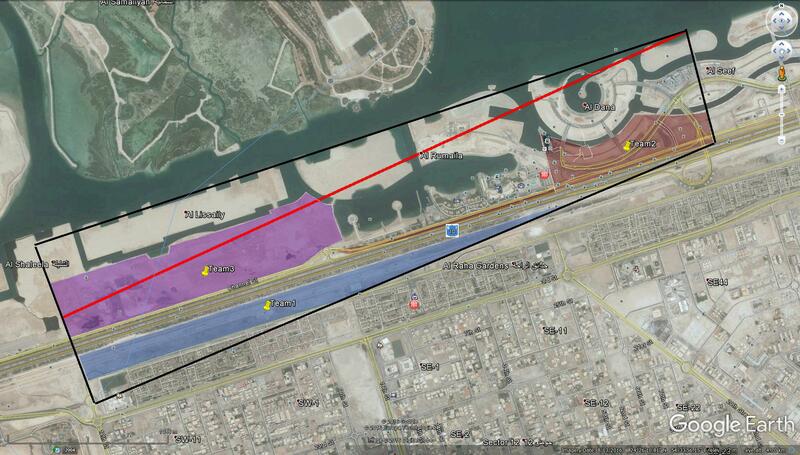 The search area is shown in the below photo, where the black rectangle is the key search area, the red line is the location where the meteorite is expected “calculated” to fall starting from 5g up to 20g. 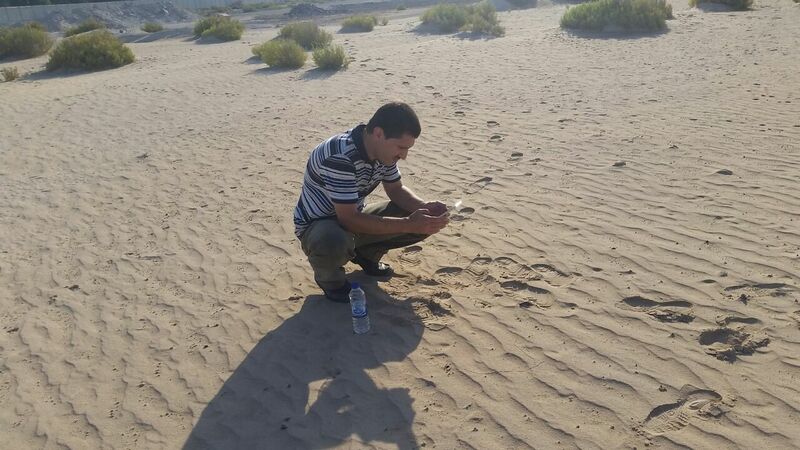 The campaign was held on Friday 07 October to look for the meteorite in the possible areas within the black rectangle, knowing that there are some important areas that we can’t enter for several reasons, such as construction works! A group of six persons were divided into three teams, each team consists of two persons. 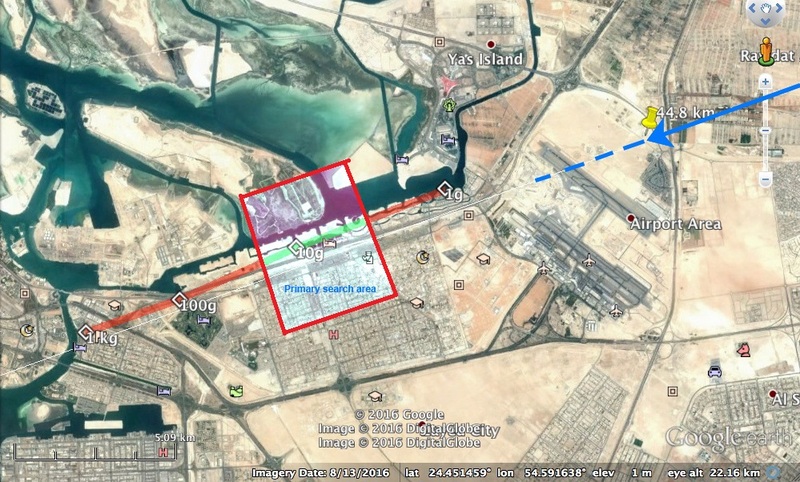 Team1 consists of Yosr Zayed and Mahmoud Elwan searched in the blue area, team2 consists of Mohammad Tabeekh and Jaber Al-Nomany searched in the brown area, and team3 consists of Refat Ahmad and Mohammad Odeh searched in the purple area. The campaign started by a brief meeting and ended by a summary meeting to get the lessons learned. 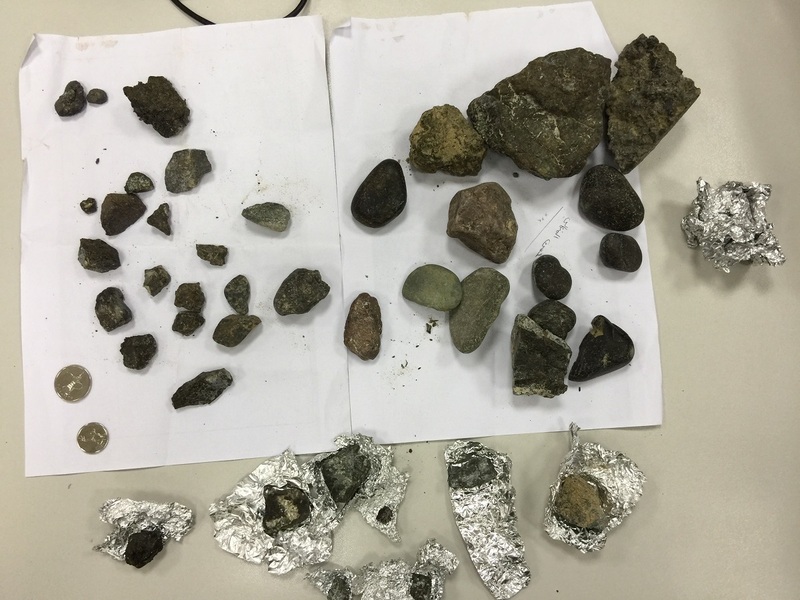 At the end, the teams showed the stones which they obtained for further study to decide if any of them is possible to be the meteorite. Kindly click here to see the photos of the campaign. 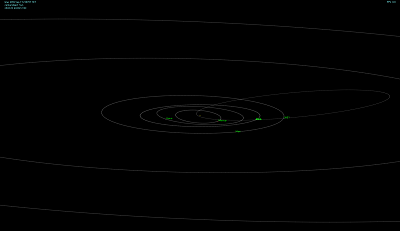 03 October 2016: 764 meteoroid orbits were obtained using the data of UACN1 and UACN2 during September 2016. 02 October 2016: UACN3 start operation on 01 October, it is located 8 Kms south west of Wagan city. 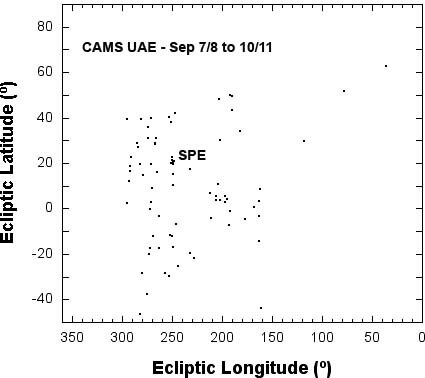 01 October 2016: On Friday 30 September at 16:15:58 UT, a moderately bright fireball with multiple flares was reported by United Arab Emirates and Oman observers. 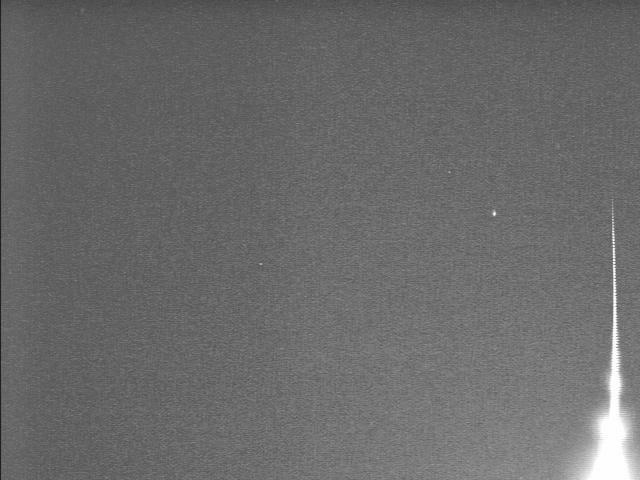 The fireball was captured by stations UANC1 and UANC2 of the CAMS UAE camera network. 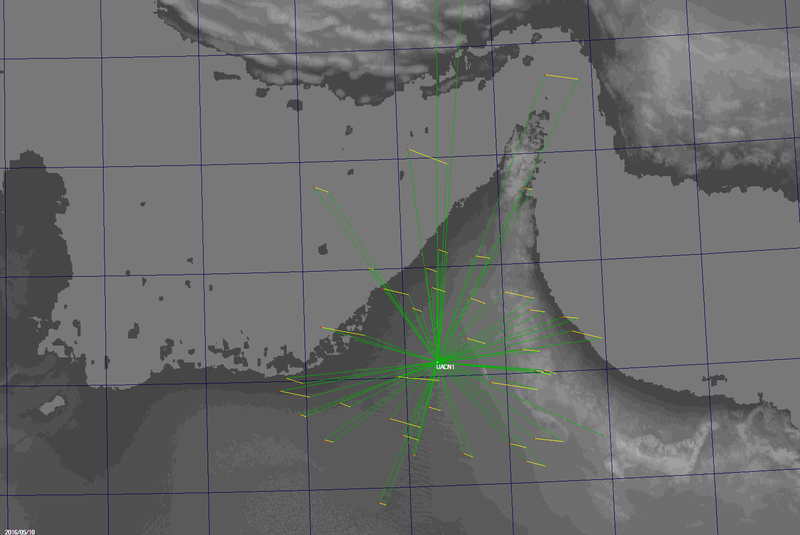 Preliminary results calculated by Peter Jenniskens show a trajectory with apparent entry speed of 23 km/s from direction RA = 345 deg and +31 deg. 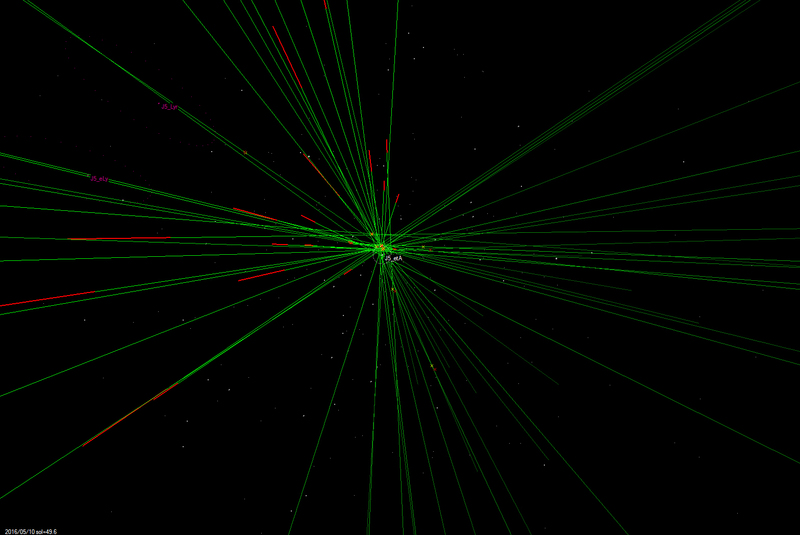 The object arrived on an asteroidal orbit. 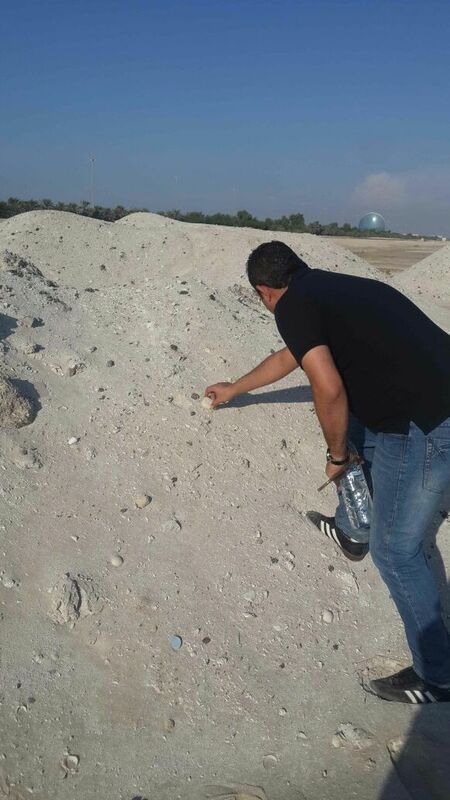 Small meteorites may have fallen in Khaleefa city near Abu Dhabi city. 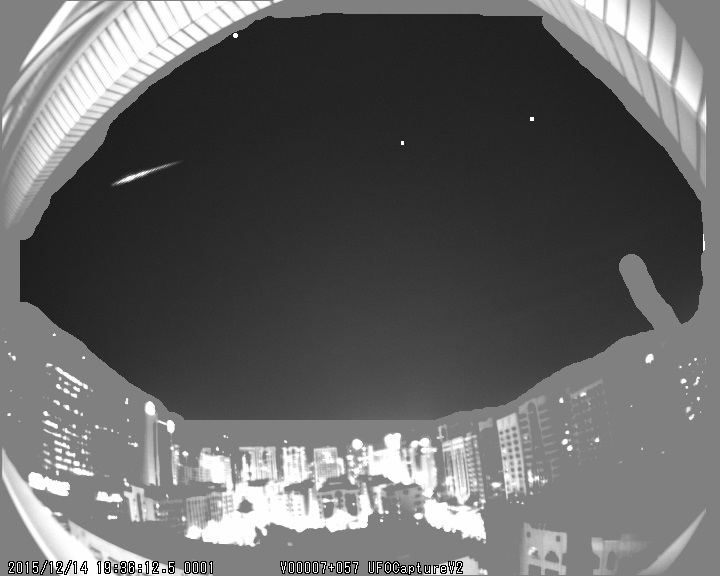 Below is a video for the fireball captured by UACN1 and UACN2 wide field cameras. 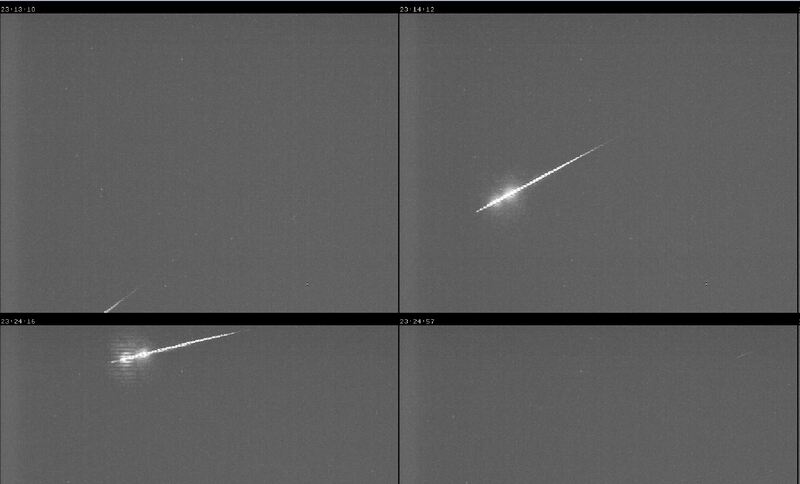 Also, below are some photos for the fireball captured by the narrow field cameras in UACN1 and UACN2. 08 September 2016: UACN2 started operation on 31 August 2016, however, the CAMS part of UACN2 contributed data started on September 7. 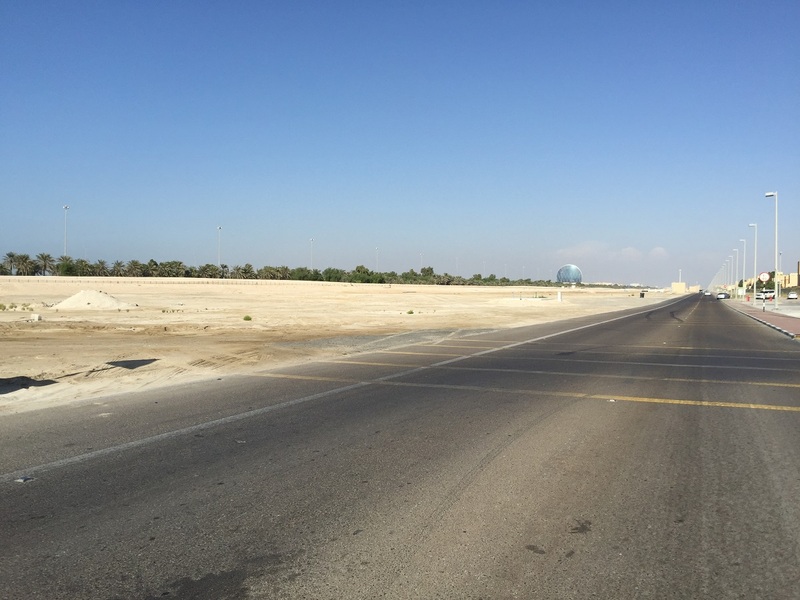 The station is located 27 Kms to the south of Razeen area. 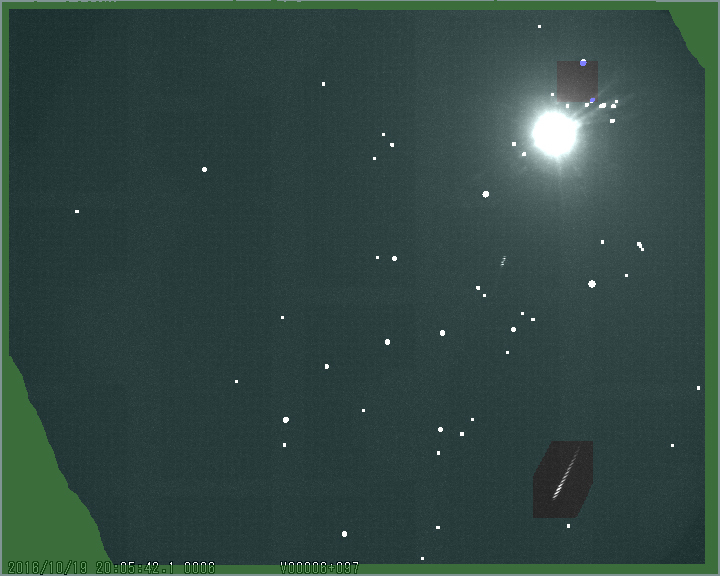 By operating two stations we are able now to get the orbital elements and draw the orbit of the meteoroid if the meteor was captured by the two stations. We immediately have a surprise! 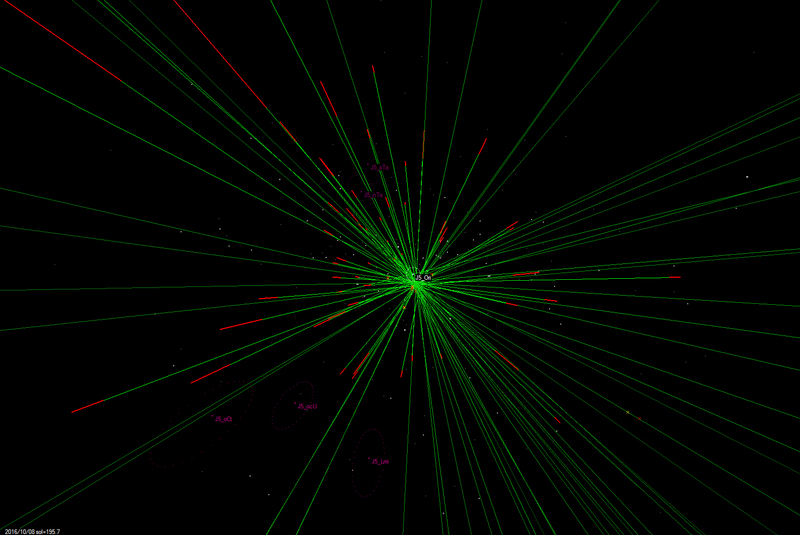 First light shows strong activity of the September epsilon Perseids (IAU shower 208, SPE). 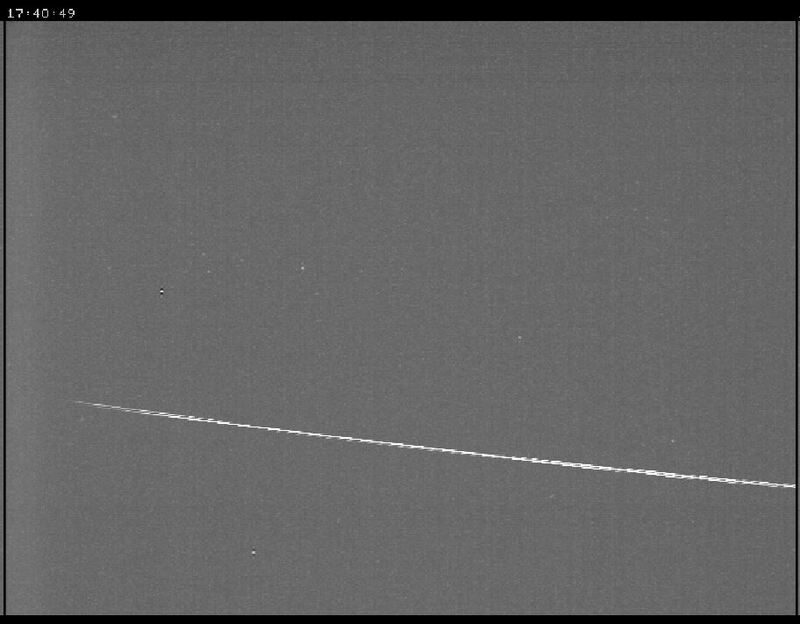 The below photo shows the orbit of the first meteor captured in the CAMS UAE network: a sunskirting meteoroid passing only q = 0.0454 +/- 0.002 AU from the Sun. 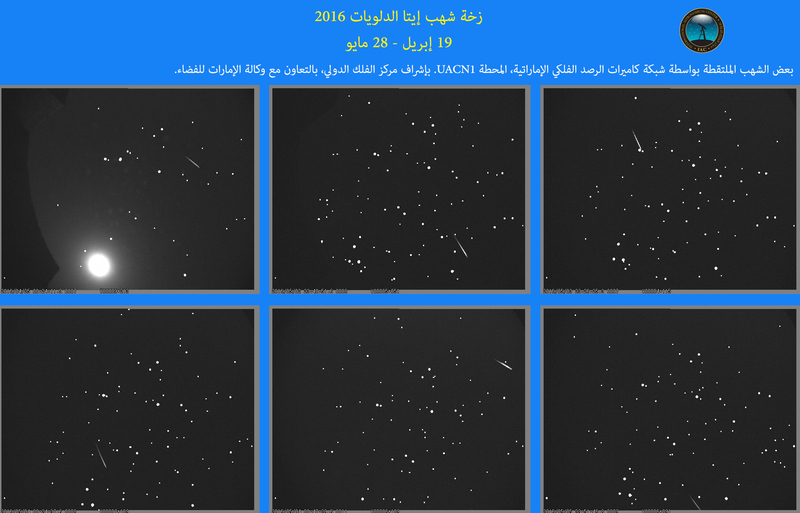 15 August 2016: Several Perseid meteors were captured by the wide field camera in UACN1. 76 meteors brighter than magnitude zero were captured during the period 10 to 14 August 2016. 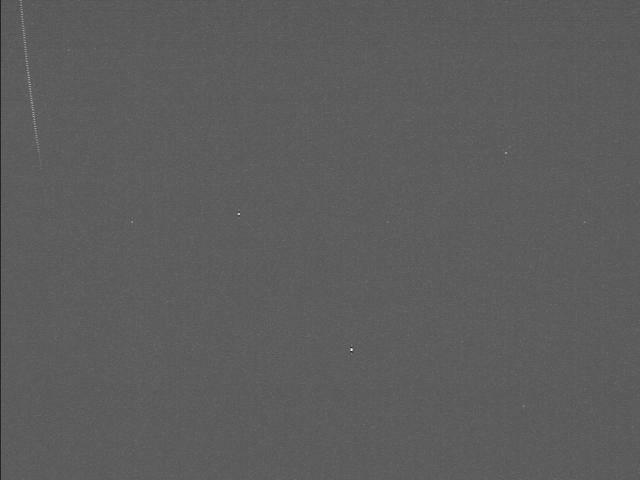 Below are photos for the meteors taken by the wide field and the narrow field cameras. 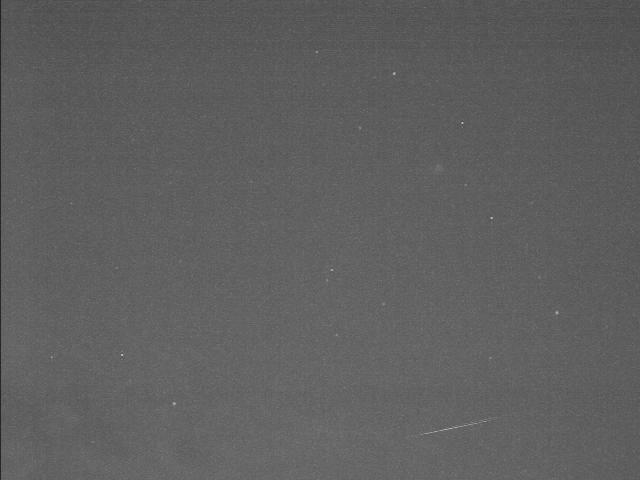 11 August 2016: Minus 6-magnitude Perseid fireball was captured by UACN1 wide field camera on 11 August 2016 at 23:35:02. 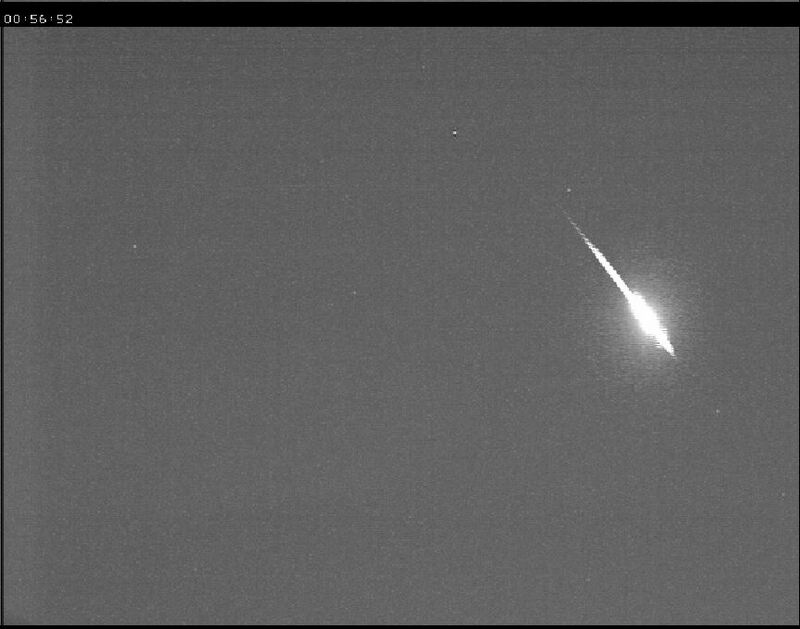 09 August 2016: Minus 8.5-magnitude fireball was captured by UACN1 wide field camera on 09 August 2016 at 16:16:46. 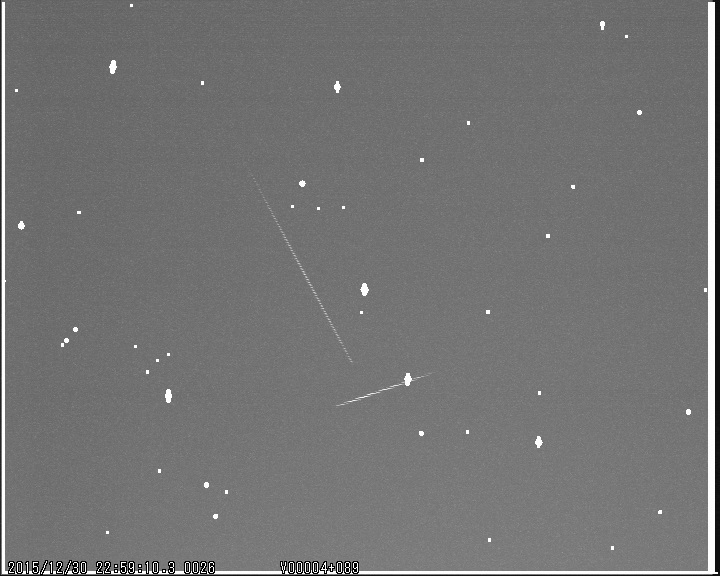 29 May 2016: UACN1 captured several meteors of Eta Aquarids meteor shower during the period 19 April to 28 May 2016. 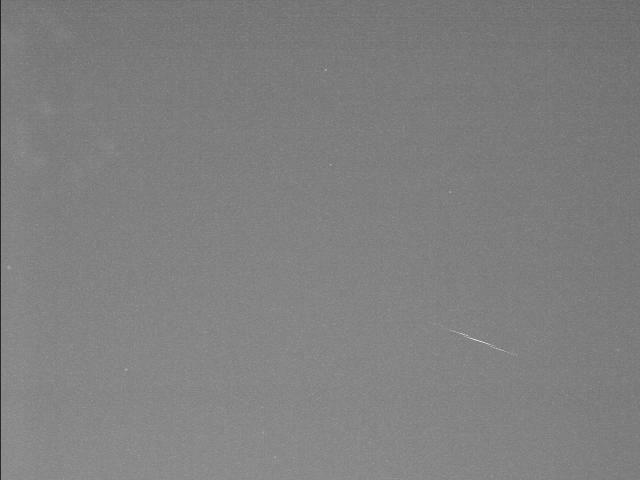 Below are photos for some of the captured meteors by the wide field camera. 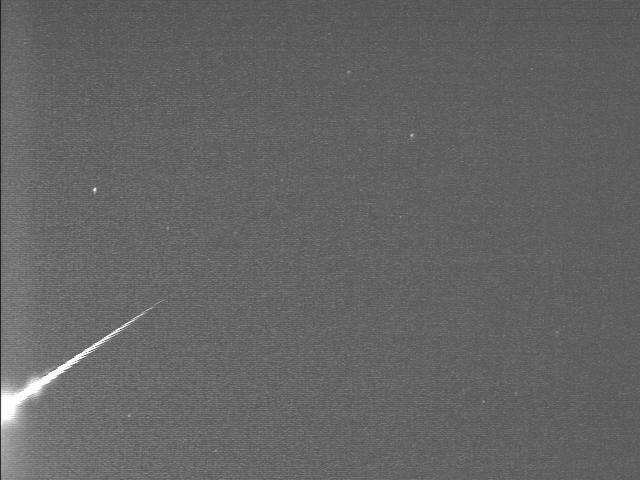 21 March 2016: 104 meteors brighter than magnitude zero were captured by the wide field camera in UACN1 since its start on 28 January 2016 till 20 Mars 2016. 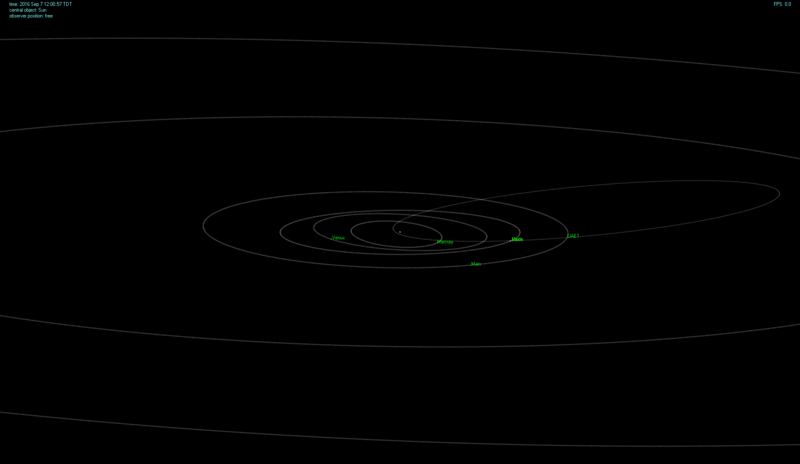 The path of these meteors are shown on the below map assuming certain values. 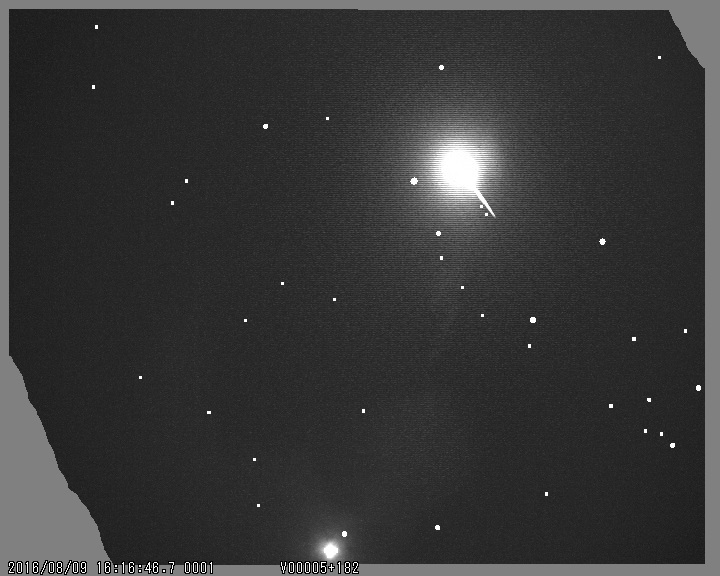 The second photo shows the path of each meteor in the sky. 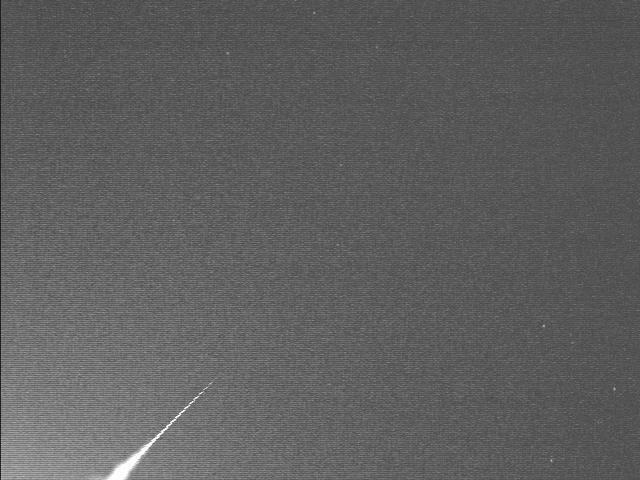 The brightest meteor was a fireball of the magnitude minus 11 which appeared on 07 February 2016 at 01:54:23 local time. 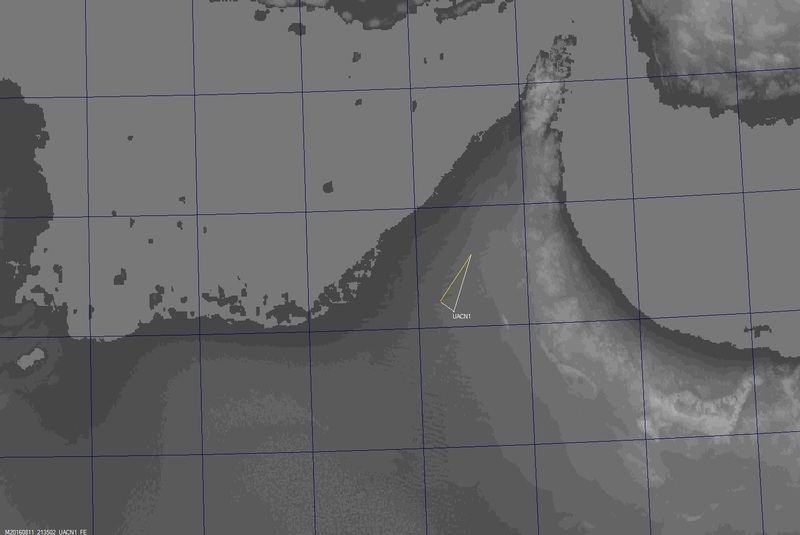 The below map shows approximate start and end points of the fireball. 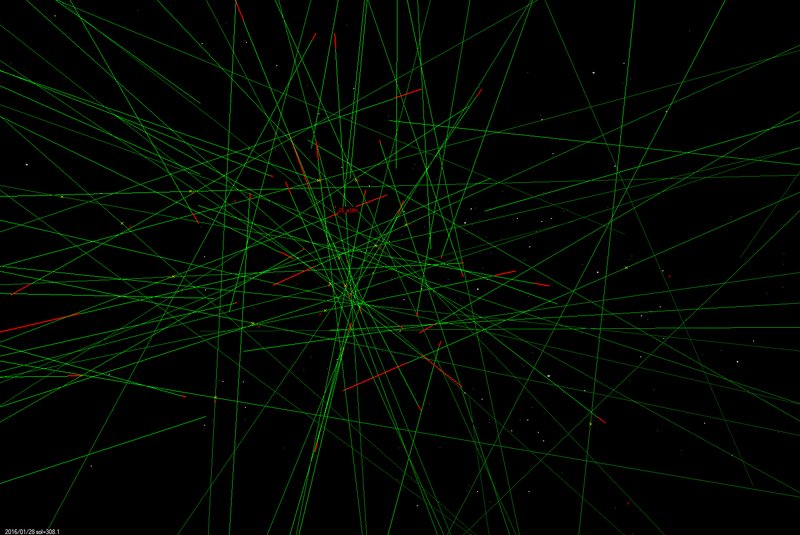 The table at the end shows the distribution of the captured meteors according to their meteor shower and magnitude. 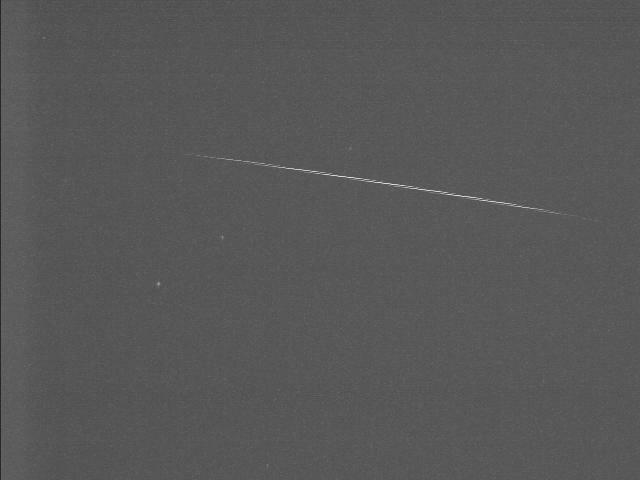 06 February 2016: Minus 11-maginute fireball captured by UACN1 on 06 February 2016 at 21:54:23 UT. 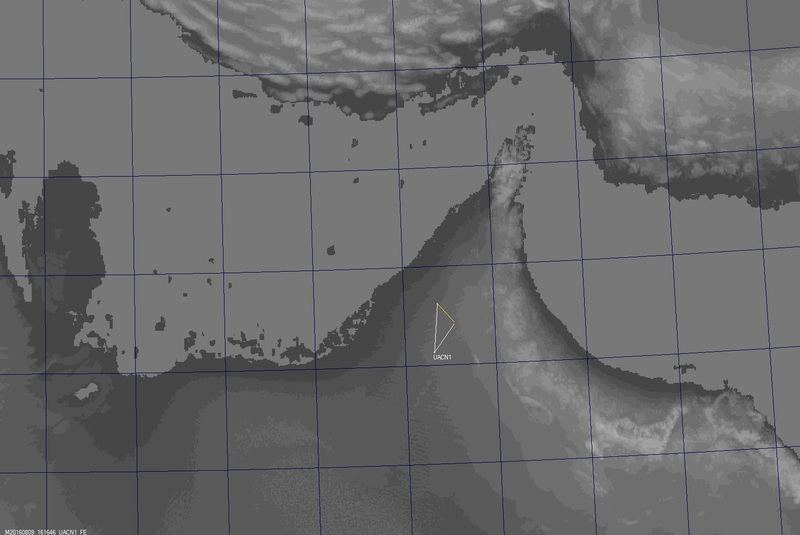 The first video was taken by the wide field camera, whereas the second one was taken by the narrow field camera. 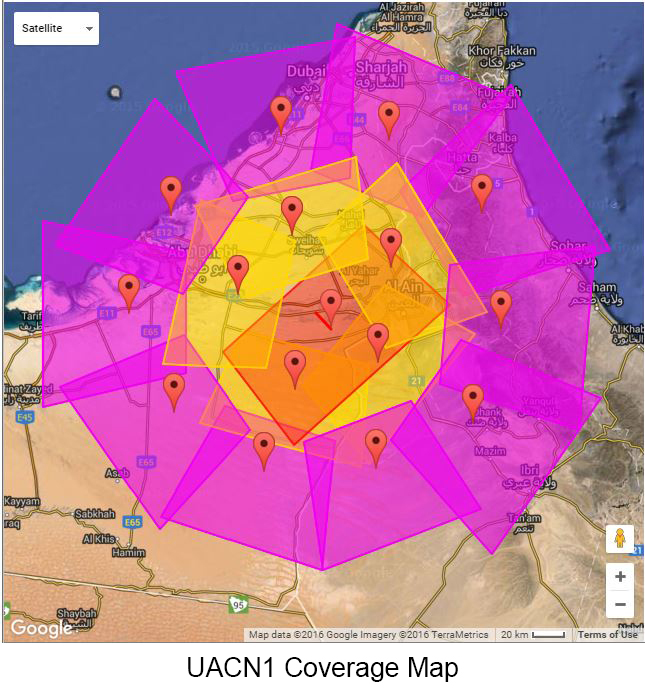 28 January 2016: The first station UACN1 located in Rmah, UAE is operational and is contributing data. 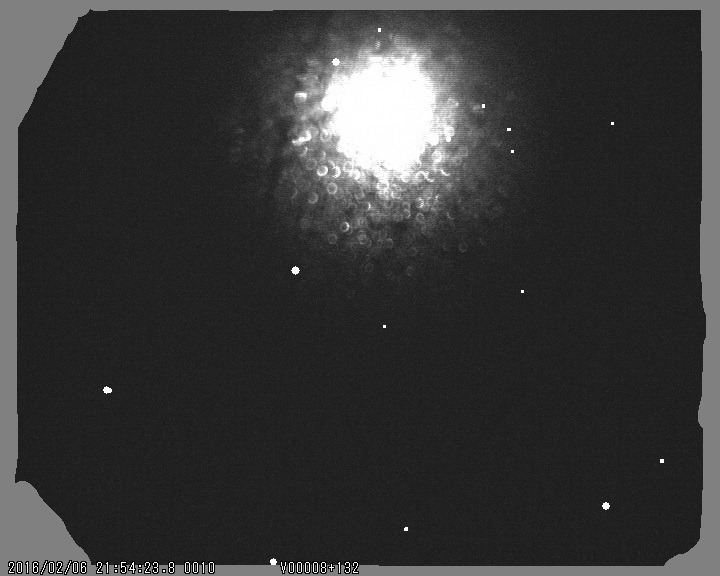 The below photos are for the box which contains the cameras as well as the station’s field of view. 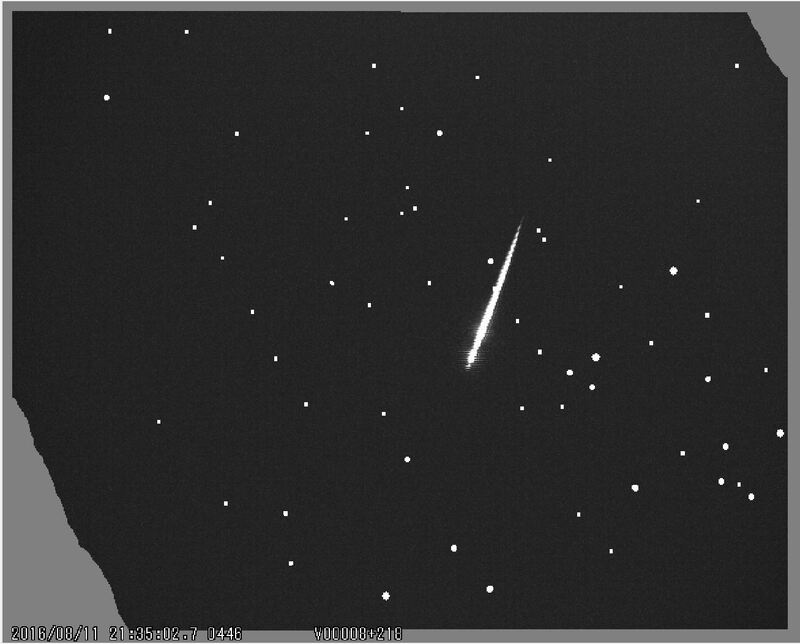 30 December 2015: Southern Taurid meteor and sporadic meteor captured on 30 December 2015 at 22:59:10 UT during testing the system in Abu Dhabi city. 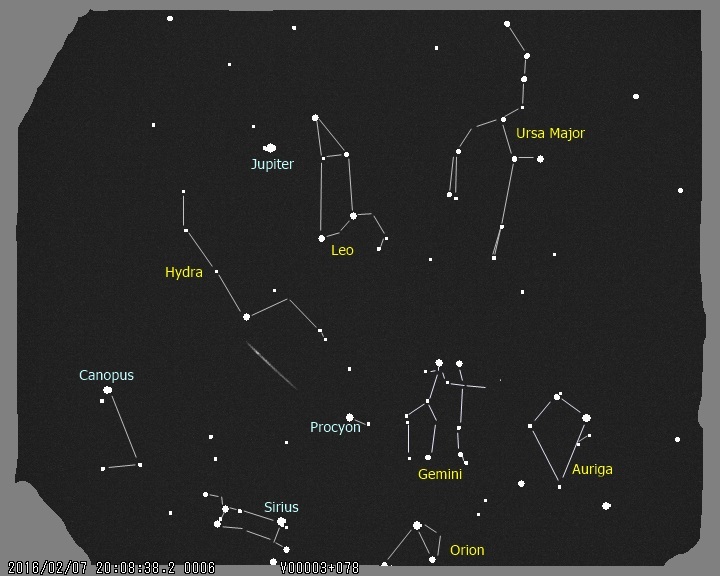 Ursa Major appears in the field as well. 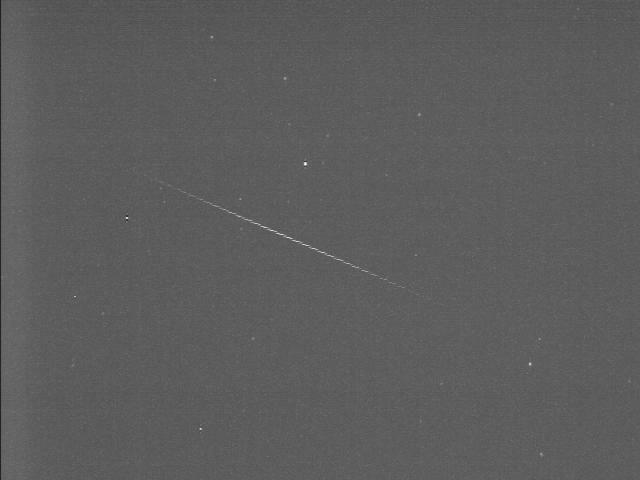 14 December 2015: Geminid meteor captured on 14 December 2015 at 19:36:12 UT during testing the system in Abu Dhabi city. 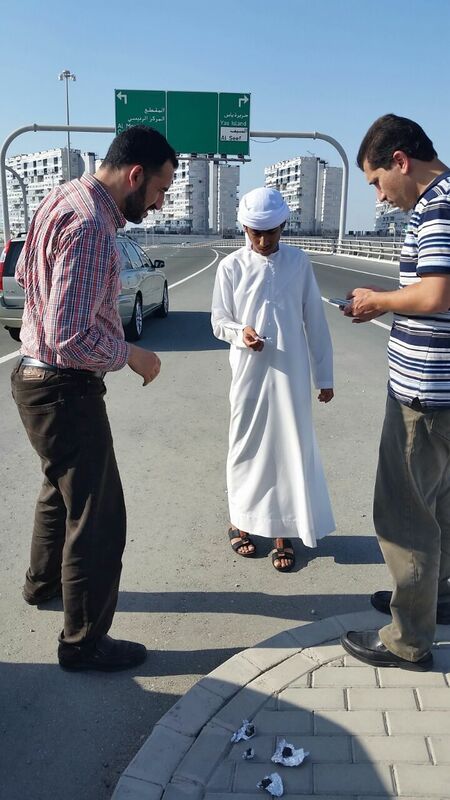 The project is supported by the United Arab Emirates Space Agency. We would like to thank the Emirates Telecommunications Corporation (Etisalat) for providing several free data packages to transfer the data from the stations to the main center in Abu Dhabi.